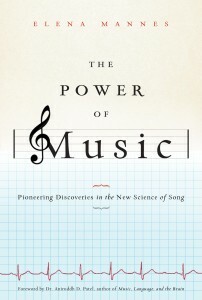 “THE POWER OF MUSIC: PIONEERING DISCOVERIES IN THE NEW SCIENCE OF SONG“, by Elena Mannes, published by Bloomsbury USA. usic is an integral part of nearly every person’s life, but few of us realize that science plays a role in our ongoing love affair with the rhythms and tunes that enhance our daily lives. 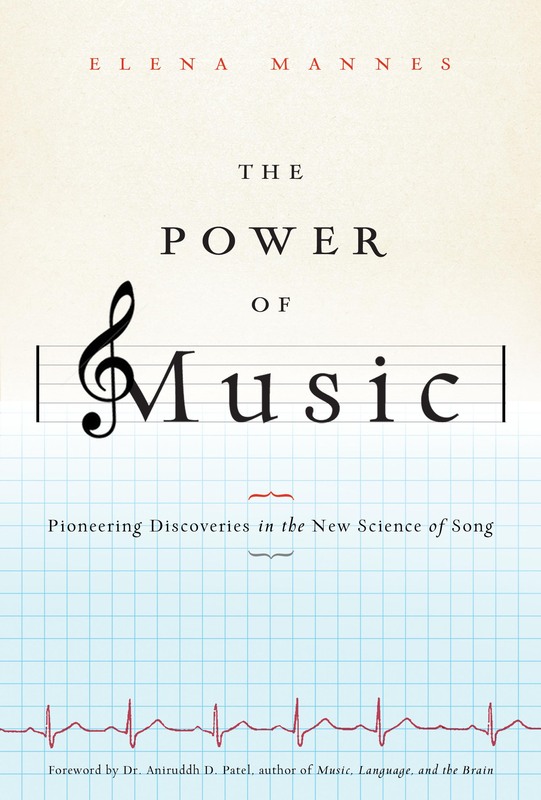 As Elena Mannes reveals in her eye-opening book, THE POWER OF MUSIC: Pioneering Discoveries in the New Science of Song (May 31, 2011; Bloomsbury USA; hardcover; ISBN 978-0-8027-1996-6; $26.00; 288 pages), we are at a breakthrough moment in music research, for only recently has science sought in earnest to understand and explain the influence of music and its connection to the body, the brain, and the world of nature. Today, music’s powers are even helping to treat Parkinson’s, cancer, strokes, and more. With science backing up what many have known for centuries, perhaps iPod apps will be a prescription of the future! Written in language that will appeal to a general audience and updated with the most recent research to date, readers of THE POWER OF MUSIC will never think of music the same way again. The award-winning creator of the highly acclaimed PBS documentary The Music Instinct: Science & Song, Mannes expands on the film’s fascinating revelations and follows visionary researchers and accomplished musicians to unveil the latest discoveries in the new science of music. Drawing on her own family history, rich with generations of musicians, Mannes explores the questions of nature vs. nurture and biology vs. culture, all the while weaving a mesmerizing journey throughout the world.